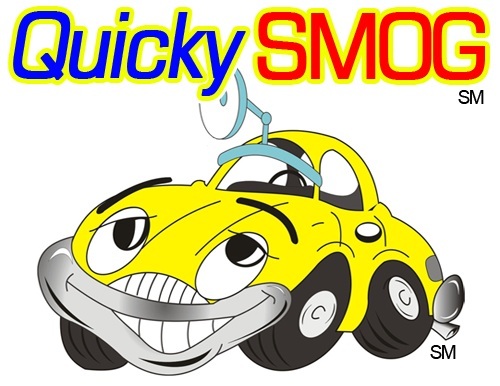 Foothill Quicky Smog - Best Service & Price Guaranteed! Guaranteed Honest & Hassle-free Service! - Give us a call at (909) 982-2300 for a chance to serve you. FULLY STAFFED (no wait time)! For over 5 years, the Upland area has known Foothill Quicky Smog as the place for all smog check needs. Our expert staff and reasonable prices have helped earn our reputation for CONVENIENCE , QUALITY and VALUE. Established in 2007, Foothill Quicky Smog has the experience and expertise to get the job done right and accurately. We know the smog program can be confusing so If there's anything we can do to make your experience any better, just ask. We appreciate the opportunity to serve you. We guarantee our work and your satisfaction. Our goal is to help clean the environment and make our planet earth a better place for our children. 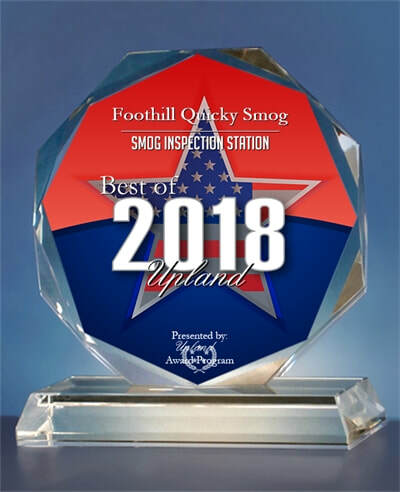 The Smog program has helped clean air pollution for many years and here at Foothill Quicky Smog in Upland CA, we are doing our part one car at a time. Here at Foothill Quicky Smog, we are in this for the long run. We want to give the best service possible and we want to create long lasting relationships with our clients therefore we do our best to make you happy! We have 2 technicians working from Monday to Saturday - this means little to no wait time for you.